Former NFL wide receiver who amassed over 12,000 receiving yards in his 14-year career. He set the franchise record in receiving yards for both the Oilers/Titans and Ravens. He was a successful kick returner and receiver at Michigan State University. He helped lead the Tennessee Titans to Super Bowl XXXIV, where they were defeated by the St. Louis Rams. He had a daughter, Bailee, and son, Derrick, with his wife Marci Mason. 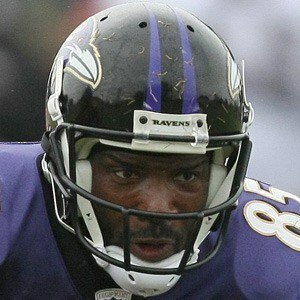 He was teammates with Joe Flacco during his final years in the NFL with the Ravens.